Webinars are one of the best ways for marketers and business owners to get their message about a specific topic across to their audience. In comparison to articles or quick videos, webinars give digital marketers the time, space, and energy to talk about what they need to in-depth and without sparing any expense. That’s why when going forward into a new year, it’s important for us to know what the best webinar platforms are and the kinds of software we should be using to make sure that the webinars we’re hosting provide high-quality audio and video. That’s where we come in. 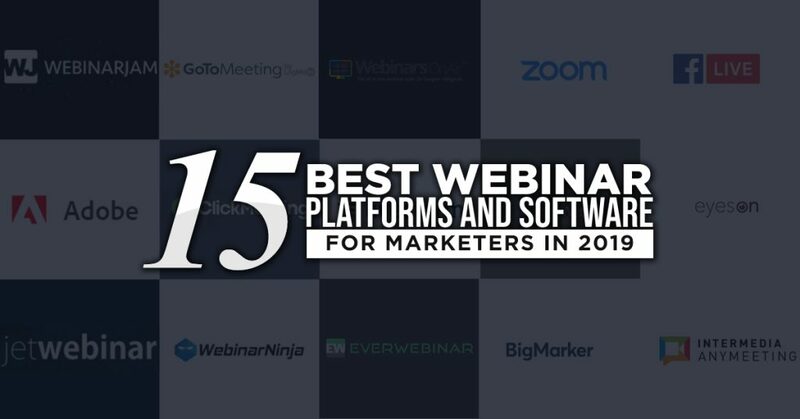 We’ve compiled some of the best webinar platforms of the past year that you should keep a close eye on as we progress into 2019. Webinars are one of the best ways to talk to our audience in a free-form about the things they need to know. We can also answer their questions and collaborate with other digital marketers in our field to get ideas out together! 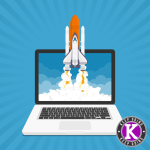 These programs are the best webinar platforms that have proven to be successful, and carrying them into your new year of digital marketing and trends will prove to be essential to your marketing strategies. Let’s get started! One of the best webinar platforms in digital marketing is WebinarJam. A streaming software that allows you to either stream directly to YouTube Live or creates a private, password protected room for you and your audience, WebinarJam gives you a variety of customizable options that make your webinar as inclusive and interactive as possible. Features allow you to highlight certain audience members and allow them to partake in the conversation while initiating moderators allows a sense of control to be exerted over the webinar. Additionally, JamCast allows you to stream your webinar wherever your audience is, giving you a chance to spread your message without any hesitations or setbacks. Adobe has been at the technological forefront for years, providing digital marketers with some of the best software possible. So, it’s only right that Adobe is also the creator of one of the best webinar platforms in the game—Adobe Connect! On top of hosting and creating your own webinar, Adobe Connect allows you to create training videos, host meetings, and foster a learning experience for your customers that encourages engagement and creativity. Adobe Connect also allows you to get creative in the process by providing you with a variety of templates to use for your own hosting room! This way you can create an environment that suits the topic you’re talking about, and your audience can also find comfort in what you’re talking about and where you’re talking about it. With promises of the fastest online webinar hosting across the internet, JetWebinar is certainly among the best webinar platforms. With their no-delay service, JetWebinar allows you to stream instantly through any channel to your audience, giving you the upper hand with higher connection speeds for your live meetings. Designed by marketers for marketers, JetWebinar is made to host live events for any business owner that needs the space to do so. You know you’re in good hands when the people who design the software are people who also need to use the software. JetWebinar gives you the chance to build landing pages, the host with multiple people, and connect with your audience with the highest quality streaming service. A software that allows you to create custom, virtual rooms that allow you to connect and convert with your audience is ClickMeeting, one of the best webinar platforms for 2019! The team at ClickMeeting has made creating a room as simple as just a few clicks—from there, you can customize your room, password protect with a registration list, and even create customized invitations for your audience to enjoy! Additionally, ClickMeeting allows you to stream through multiple channels like Facebook and YouTube Live, giving you a chance to reach out across social media with ease. ClickMeeting also gives you presentation tools, allowing you to create easy event spaces where you can showcase your message with a strong, visual aid. For most marketers, using the amazing capabilities of Google Suite is a must in the digital marketing world. For those who rely on it daily, the best webinar platform for you to be using is Webinars On Air. The premiere webinar software that allows you to connect with your Google Suite accounts, Webinars On Air gives you the all-in-one experience you’re looking for while making it simple to connect and integrate important information. Webinars On Air make it easy to create, set up, and host your own event room, giving you time to prepare and host your event with ease. 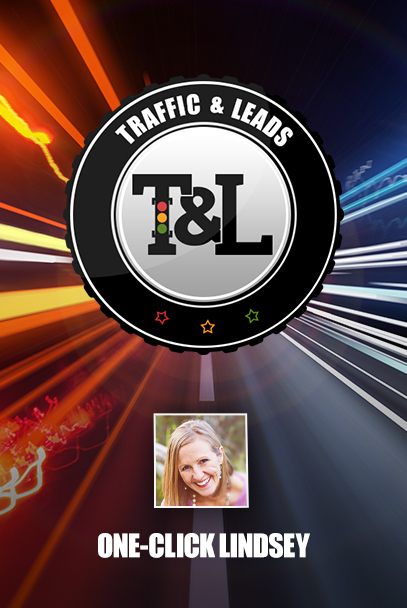 Additionally, Webinars On Air allow you to collaborate with the analytics and insights of Google, giving you chances to provide pixels in the rooms you create, as well as keeping track of how many visitors are converted into certified leads! Designed by professionals for the digital marketing workspace, GoToMeeting is among the best webinar platforms for business owners looking to get the job done. Allowing you to connect to anyone from any device, GoToMeeting makes it easy to get the job done from wherever you are, providing convenience for the marketer on the go! Additionally, GoToMeeting gives you ample functions to improve your webinar experience—business messaging, transcripts that allow you to refrain from taking notes (since the webinar software does it for you), and customizable settings that you and your team can control for the ultimate webinar experience! Trusted by some of the top marketers in the professional world, Webinar Ninja is certainly among the best webinar platforms to keep an eye on as we go into 2019. Providing an all-in-one style of webinar software, Webinar Ninja aims to give you the best of the best in terms of functionality, software and providing you with the highest quality of video streaming. In addition to amazing streaming qualities, Webinar Ninja gives you in-depth marketing tools that allow you to engage, grow, and nurture your audience, turning visitors into leads and turning leads into potential clients. With all of your information being stored in the cloud and no downloads to worry about, it’s easy to see why Webinar Ninja is one of the best. For the business owners looking for the perfect way to launch their products, look no further than Livestorm, one of the best webinar platforms. Designed for product launches, Live storm allows you to conduct demos for the products you create, giving you the chance to connect one-on-one with clients and other marketers and create top-notch leads. Additionally, Live storm is the hub for hosting live events, meetings, tutorial videos, and podcast interviews! The options are endless when you sign up for Live storm, and their easy-to-use interface makes it easy for everyone to use. On top of that, the Live storm connects with any internet browser, making it accessible from every angle! Of course, we can’t talk about the best webinar platforms without mentioning Facebook Live! With how prominent of a role social media has begun to play in our everyday lives—as well as in the marketing field—it makes sense that Facebook Live is one of the best ways to reach our immediate audience through a device that they use every day. Creating a Facebook Live is easy and simple—just one click sets you up in front of your audience, allowing them to engage through comments, likes, and various reaction commands that encourage the live stream. Additionally, Facebook Live videos stick around once the live stream has ended, giving you chances to upload that video to YouTube and to then implement the video on your website! Created by a faction of WebinarJam is EverWebinar, one of the best webinar platforms that allow you to create evergreen content from your webinar streams, which bring in new leads and new visitors on a daily basis! Though the set-up is similar to that of WebinarJam, they function differently and with separate purposes, making it essential in your software collection. By recreating the use of previous video footage to replicate a “live” event, EverWebinar allows you to recycle old material to reaffirm your current brand message, creating a cycle of content that can continue to be reused for further promotions! With live chat, password protection for the rooms you create, and analytics, it’s easy to see why every webinar is one of a kind. One of the best webinar platforms for you to use 2019 is Zoom. With room sizes that can hold up to 10,000 people, Zoom gives you the chance to connect with as many people as possible, creating a space for new leads to foster! Zoom also gives you the highest video and audio quality, ensuring that your audience is hearing and seeing everything that you’re saying and doing with ease. The controls for hosts are easy to use and allow you to exert a sense of professionalism, making it easy for things to stay on track and in line. Additionally, Zoom provides you with analytics and reports on things like engagement rates, attendance, and much more, making it an amazing and all-around choice for any hosting experience. Another no download webinar software is BigMarker. Live, on demand and automated, BigMarker is among the best webinar platforms for digital marketers to keep an eye on as we move into the new year. Providing us with powerful hosting capabilities, automation that helps create sales funnels, and customizable rooms, BigMarker is a top choice for professionals in the business field looking to reach their audience in a quick and efficient way. In addition to the content they currently have, BigMarker is working on two new components to their overall webinar software package. Their Webinar Series is going to have all-in-one capabilities, and their Webcast option will give people a chance to broadcast their webinars to a large scale audience, increasing their reach instantly. Providing more than just a way to connect to your audience, WebEx allows you to connect with your entire team, making it one of the best webinar platforms of the new year. With ways to hold virtual meetings with your team in order to make sure everyone’s on the same page, WebEx is the premier choice for businesses who operate in all corners of the world! Being able to reach your team is just as important as reaching your audience, and the creators at WebEx know and understand the needs of a business owner. WebEx also connects easily to other devices you can use like Google Drive, allowing you to share content with ease among yourselves. With other functions like WebEx Teams that allows you to connect with everyone in one place, and WebEx Devices, which allows you to connect to video services and create amazing content, it’s easy to see why WebEx is a top option for digital marketers everywhere. An amazing application for both your phone and your desktop, EyesOn is one of the best webinar platforms you should be using! Since it’s available for both mobile devices and laptops, you can rest assured knowing that anyone can connect with you within an instant, making connections, calls, and hosting jobs easier than ever! EyesOn takes up a small amount of mobile data, making it efficient in both the job that it does and also in being able to use the application for more than 5 minutes at a time. Additionally, you can include up to 9 people in video calls that you make, creating a group for successful outreach. With high-quality audio and video, as well as messaging and video in one place, it’s easy to see why EyesOn is the future of webinar and video hosting. With options for hosting both a webinar and a conference for your team, AnyMeeting is easily one of the best webinar platforms of the coming year in marketing. Being able to connect with your team is important, and AnyMeeting makes that task simpler than ever with efficient video streams, high-quality audio, and file sharing among co-workers and clients. Customizable rooms give you the option of what you want to see, with the choice of having a one on one session with somebody or including up to 30 people at once to engage in a conversation. Additionally, you can include up to 2,000 attendees in your webinars, opening up the floor to bigger and newer connections and improving your reach across the board! Analytics complete a well-rounded experience, and AnyMeeting is easily among the best when it comes to video streaming services we should be looking to. And… that’s all she wrote! 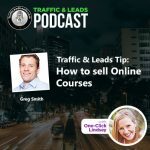 It seems like a lot at first, but the most important thing to remember about the best webinar platforms is finding what’s right for your business. So many streaming services offer a variety of functions that can help you in your business endeavors, and being able to find the one that fits and gives you the highest quality of content, video images, and interaction with your audience is important to your overall success in the digital marketing world! Make sure you carry these names with you into the new year and prepare your strategies around the growing trends in the digital marketing game with the best webinar platforms by your side.